See more objects with the tag decoration, domestic interiors, black and white, curtain, furnishing fabric, symbols, cross-disciplinary, pictograms, hieroglyphic. This is a Textile. It was designed by Alvin Lustig. It is dated 1947 and we acquired it in 1973. Its medium is cotton and its technique is screen printed on plain weave. It is a part of the Textiles department. Although his career was tragically short, Alvin Lustig was among America’s most influential mid-century graphic designers. 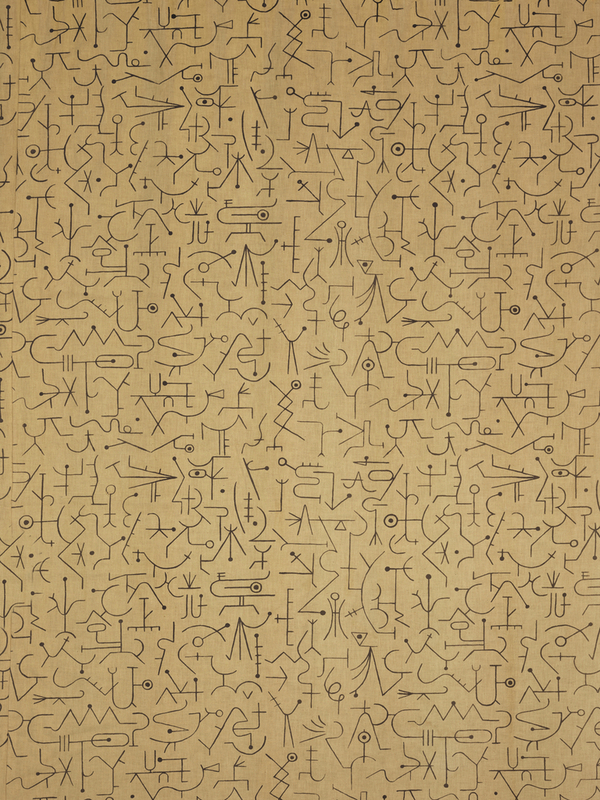 Textiles like Incantation (1947) reflected a rich multidisciplinary practice that encompassed furniture, graphics, architecture, and animation. After studying design and printing at Los Angeles Junior College, Lustig started creating geometric patterns in the medium of letterpress in the early 1930s. Fitting together typographic rules and symbols into tightly wrought abstractions, he used the time-worn mechanics of metal type to produce arresting cards and letterheads. Incantation, produced by Laverne Originals in New York, is at once simple and mysterious. 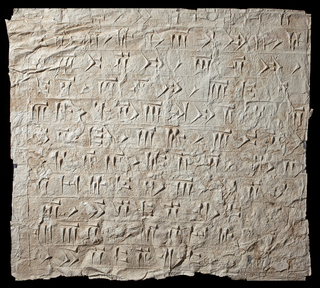 The lines and shapes wandering across the surface suggest eyes, limbs, and runic markings yet refuse to converge into complete or recognizable figures. Covering the fabric in an interlocking scrawl both primitive and controlled, these enigmatic markings recall the paintings of Paul Klee and Joan Miro. 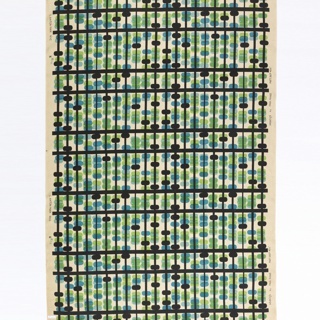 Lustig used the fabric for floor-to-ceiling drapes in his Los Angeles office, 1947–1950. 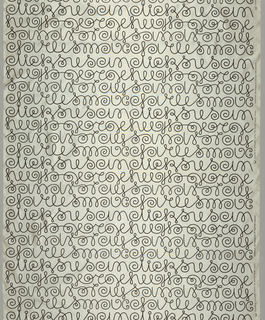 This object was featured in our Object of the Day series in a post titled Alvin Lustig’s Incantation. It is credited Gift of Max Finkelstein.